Calanques de Piana, Scandola Nature Reserve, Corsica . 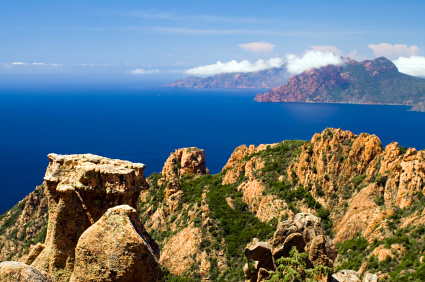 The beautiful island of Corsica (Corse in French) is a paradise for nature lovers, a place of rugged red granite landscape, turquoise sea, coves of white sand beaches, forested mountains, deep gorges, and, almost anywhere you go, breathtaking scenery. 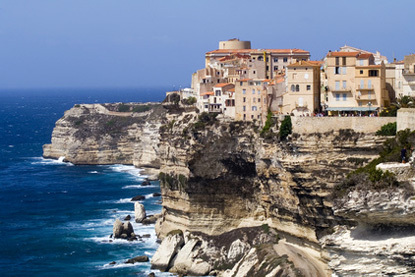 Birthplace of France's greatest military genius and first emperor, Napoleon Bonaparte, Corsica has nevertheless only been part of France since 1769, and still feels more Italian than French today. The island belonged to the Genoan Republic from 1347 to 1735, when the Corsicans revolted and declared their independence. In 1755, the Corsican drafted the world's first modern democratic constitution. Corsican language is a dialect of Tuscan, and therefore a form of Italian. Corsica is the second smallest French region (after Alsace), and by far the least populous, with only 300,000 inhabitants. The island welcomes 3 million tourists annually - the equivalent of ten times the local population. The agriculture is typically Mediterranean, constituted mostly by olive orchards, vineyards, citrus fruits, figs, chestnuts and mulberries. Meats are traditionally cured to make sausages such as coppa, lonzu, figatellu, panzetta, or prisuttu, all made from pork. Corsican cheese (a filetta, bastelicaccia, brocciu, casgiu merzu, casgiu veghju, muntanacciu, niolo) is made either of goat or ewe milk. Corsica produces a variety of alcohol, including pastis (Pastis Dami), whisky (P&M), Liqueur du Maquis, eau de vie, chestnut beer (Pietra), sparkling muscat, and red wine. Corsican cuisine shares a lot with mainland Italy (e.g. pesto, polenta). Wild boar and goat meat are popular, and local dishes often make use of chestnut for their preparations. 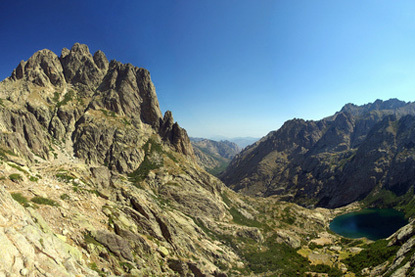 The Gorges of the Restonica cascade through the mountains of central Corsica, descending from Lake Melu (1,711 m) for 18 km until Corte. They offer great hiking and bathing opportunities. Perched in the mountains at the core of the island, Corte was the capital of independent Corsica before its annexation to France in 1768. Bonifacio sits over a white limestone cliff at the southern tip of the island, facing the sapphire-blue strait separating Corsica from Sardinia. 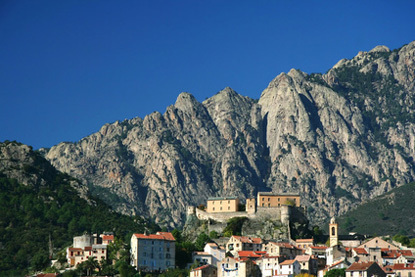 It is Corsica's most visited town. 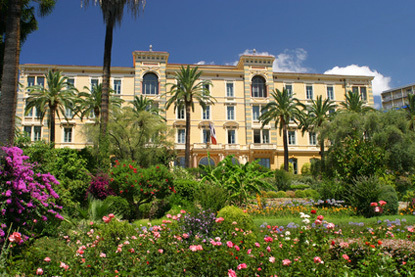 Ajaccio is the capital of and largest in Corsica. It was the home town of Napoleon Bonaparte, whose family house is now a museum.